The new SAT will officially debut next spring. Still, students nationwide are already panicking over the new test. Our best advice? Relax. This recent Huffington Post article should reassure any worried student. In a new partnership, College Board will be partnering with Khan Academy to make new SAT study resources available this May, nearly a year in advance of the new test's arrival. Even better, students can benefit by taking the revised PSAT this fall, a test that will offer great insights into the character of the "real" SAT. 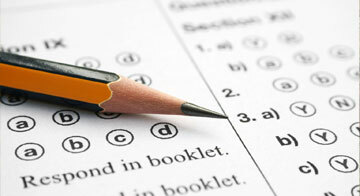 Students will be prepared to take the new test next spring. Counselors will also be working overtime to make sure that the transition is smooth, and even to encourage taking both the SAT and ACT. With all of these resources available, what do you have to be worried about? How are you going to prepare for the new SAT? We would love to hear your comments below.